The film that wins the student prize must focused on the experiences of a person who brings DIFFERENCE to Stark County, Ohio. (1. )The short film must not exceed 40 minutes. (2.) The short film may not include any copyrighted material. (3.) films must be in English or have English subtitles at the time of submission. (4.) Films must be made between January, 2016 and April 13. (5.) Films must not be available for viewing on the internet prior to the film festival. (6.) Films must be accompanied by submission materials. You may submit the submission materials through filmfreeway.com ​ directly to the Canton Film Fest or you may submit them via email to reelate@gmail.com (7.) Filmmakers must be enrolled in an educational program during the time that they completed the film. The film that wins the student prize must focused on the experiences of a person who brings DIFFERENCE to Stark County, Ohio. (1. )The short film must not exceed 40 minutes. (2.) The short film may not include any copyrighted material. (3.) films must be in English or have English subtitles at the time of submission. (4.) Films must be made between January, 2016 and April 13. (5.) Films must not be available for viewing on the internet prior to the film festival. (6.) Films must be accompanied by submission materials. You may submit the submission materials through filmfreeway.com directly to the Canton Film Fest or you may submit them via email to reelate@gmail.com (7. )The film must be filmed using only a phone or mobile device. Sound may be recorded using other devices, and editing may be completed on other devices. Preference may be given, though, to films fully recorded and edited using phones or mobile devices. 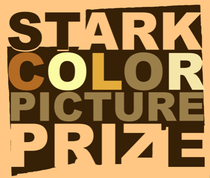 *note: films that win the student prize or the phonefilm prize are eligible to win multiple prizes.